The idea of fleeing the rat race and escaping the economic doldrums by relocating abroad is nothing new. 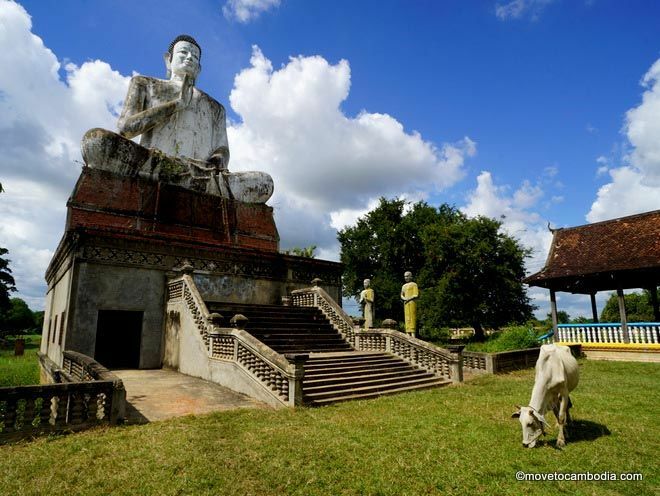 But Cambodia wasn’t considered by any but the most adventurous–until now. The Southeast Asian country is quickly becoming a hot destination for potential expats, from artists and volunteers to development workers and retirees. 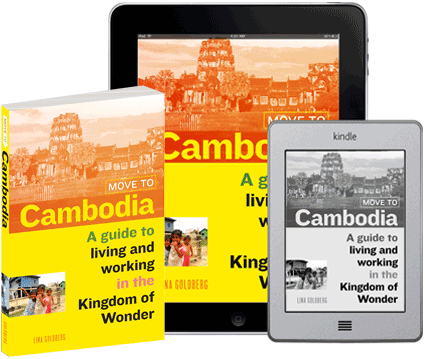 Now those making the move, or just daydreaming about it, have the perfect resource– Move to Cambodia: A guide to living and working in the Kingdom of Wonder. It’s a detailed 175-page book that explains everything from budgeting for a move to bargaining with a tuk tuk driver. Once best known for its grim Khmer Rouge history, today Cambodia is attracting record numbers of new foreign residents thanks to its warm weather, friendly locals, booming economy and very low cost of living. Move to Cambodia covers more than a hundred topics that will help Westerners meet the challenges of a cross-cultural move, with background information on Khmer culture and practical advice from how to get a local driving license to where to live, from English teaching jobs to the cost of electricity. Author Lina Goldberg knows about the lure of Cambodia firsthand. She worked at Google in the United States, Ireland and London before ditching her corporate job and coming to Cambodia on a three-month fellowship. She fell in love with the country and two years later, she’s still there. Now a writer based in Cambodia’s capital, Phnom Penh, Lina has contributed to Lonely Planet, CNNGo, South China Morning Post, Travelfish and BBC Travel. She has also developed a Web site, movetocambodia.com, with information from the book and a blog filled with Cambodia travel tips, reviews, photos and interviews with expats who have made their dream of living in the tropics a reality. Move to Cambodia is available in epub, mobi and pdf format for Kindle, iPad, Nook, and most other ereaders (or your computer). Move to Cambodia can be purchased from Amazon, Amazon UK, Barnes and Noble, Apple, Kobo, and direct at movetocambodia.com/ebook. Web site: movetocambodia.com contains a wealth of information from the book plus blog filled with Cambodia travel tips, reviews, photos and interviews with expats who have made their dream of living in the tropics a reality.